Dr Steiner has over 30 years experience in eye surgery with a particular interest in cataract, glaucoma and laser refractive surgery. He is in private practice in Auburn and Northwood. After graduating in Medicine from Sydney University in 1970 and becoming a Fellow of the Royal Australian College of Ophthalmologists he was appointed to the position of Honorary Secretary of the College in 1976. He was appointed an Honorary Ophthalmic Surgeon to Bankstown & Lewisham Hospitals and pioneered intraocular lens implantation for cataract in both of these institutions where he served from 1975-1984. Following this he was for many years the Chairman of the surgical staff at the Metropolitan Eye Hospital. He has been performing laser vision correction since it was first introduced to Australia in 1991 and is a Foundation Member of the Australasian Society of Cataract and Refractive Surgery . Dr Steiner is a Fellow of the Royal College of Ophthalmologists of the U.K. and a member of the Oxford Ophthalmological Congress. 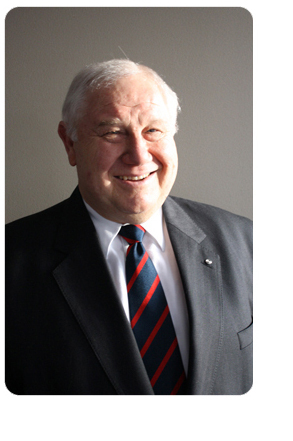 He has been involved in the organisation of many scientific congresses for the Royal Australian and New Zealand College of Ophthalmologists and has been the Chairman of annual Scientific Congresses at both the State and National level. He was a member of the executive committee of the International Congress of Ophthalmology held in Sydney in 2002. In 2002-3 he was Chairman AMA Co-ordinating Committee of Ophthalmologists. Chair of the Ethics Committee. He was a Councillor for many years and served as President of the College in 1999/2000. Member Advisory Board AMA(NSW) Charitable Foundation. He is accredited by Workcover NSW as an Assessor of Permanent Impairment and by the Motor Accidents Authority as an Independent Medical Examiner. He has been appointed an Approved Medical Specialist by the NSW Workers Compensation Commission.